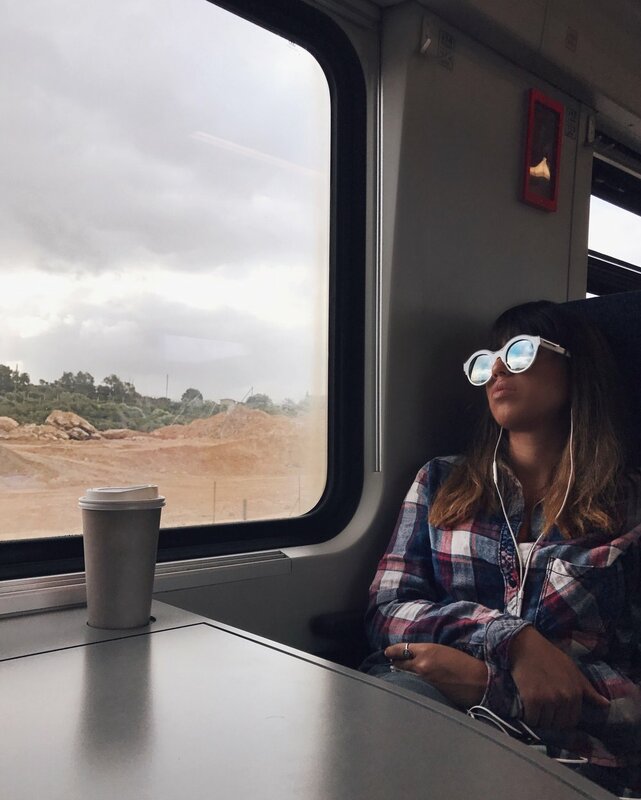 Dina Alfasi has turned her daily experience of commuting by public transport between Hadera and Haifa and observing passersby into art. 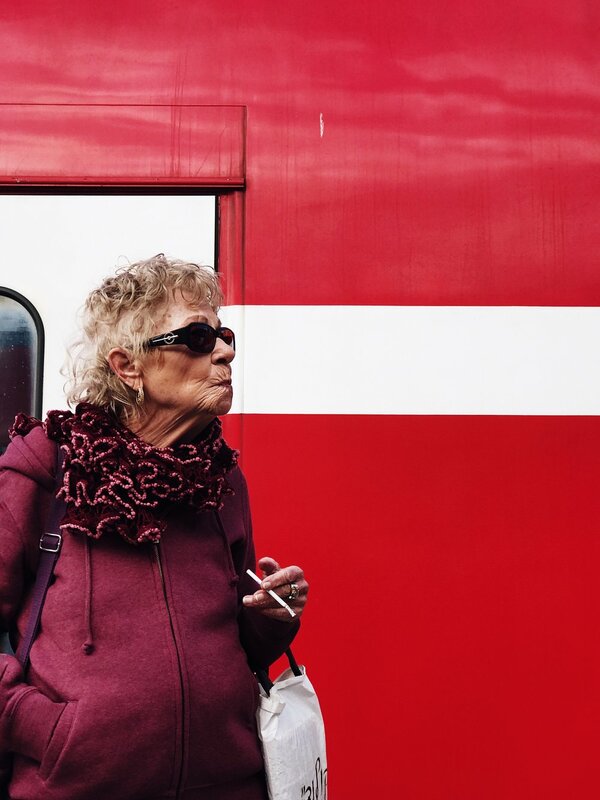 With her iPhone camera she captures moving, intimate moments in the life of strangers around her. Dina recognizes the beautiful, the different and the unique in those instances most of us don’t notice, as we’re being propelled towards our daily ports and objectives. 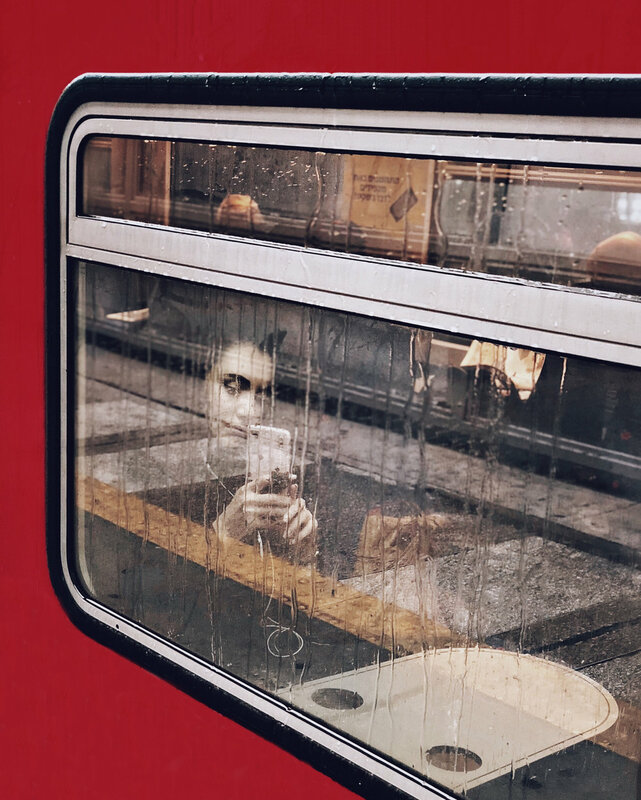 Therefore, it is not surprising her work has been singled out at the Annual iPhone Photography Awards 2017 winning the first place in the ‘people’ category. In the series of photographs selected here the suggested movement of the vehicles exists as though in a separate dimension from the inner experience of the portrayed figure, providing only an external background. 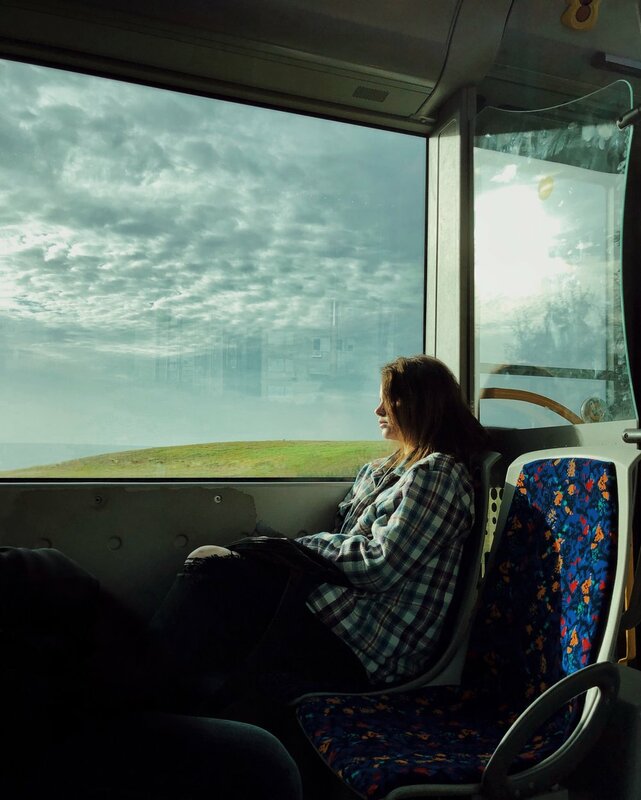 The waiting and the expectation of a train or a bus allows a quiet moment of inner reflection and thought and becomes a metaphor for anticipation on a deeper level than the boring, daily routine. As opposed to the neverending noise of engines and people, every person emerges as a sole, unique isle, a microcosm of thoughts, desires, individuality and life. We couldn’t help asking Dina to shed some light on her process of creating those compelling images. Some figures appear again and again in your photos, like soldiers, elder people, young women etc. Are you consciously looking for them? Are there specific types of people that interest you? I’m looking for those people that have something in them that tells a story. Something in the interaction between a person and the situation leads the viewer to take another look, provokes a thought or puzzles. I always ask myself if the frame is going to make the viewer pause before moving on. 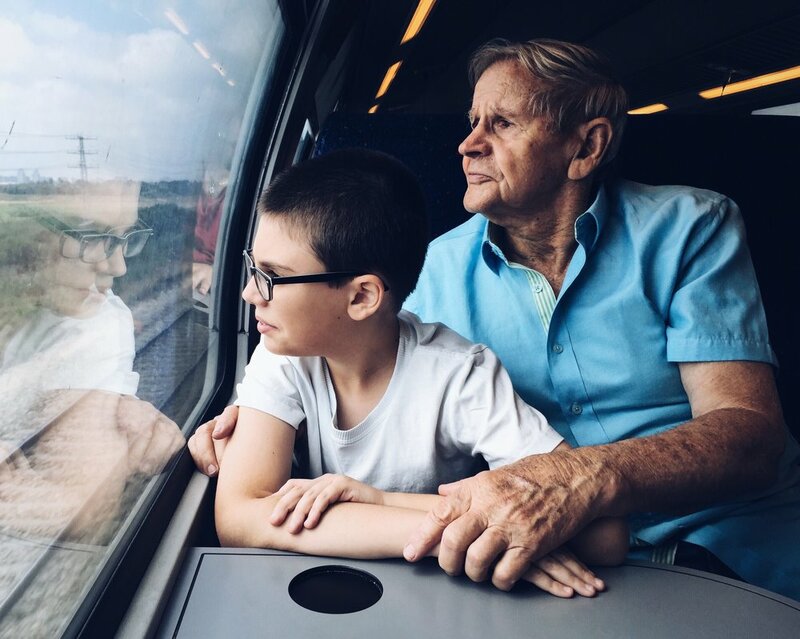 Do you make a connection with your subjects? If so, what kind? I don’t make a connection with the people I photograph; most of them I don’t know, and they are not aware that they’re being photographed. That way I‘m able to capture a spontaneous, uncontrolled moment. I don’t direct my subjects. Any suggestions for a person who is interested in mobile photography, particularly portraits? First of all be curious. Use your eyes to look for the intriguing people that surround us everyday and the situations they’re in at the moment. After you find them look for the light - notice where it comes from, its color, how it influences the frame. Make an effort to always shoot in natural light; it makes a world of difference.